At a ribbon cutting ceremony, Honduran President Juan Orlando Hernández and U.S. Overseas Private Investment Corporation (OPIC) Vice President for Investment Policy Ryan Brennan today inaugurated Geotérmica Platanares, a 35 megawatt geothermal baseload power plant in western Honduras. The project is supported by $135 million of financing from OPIC, the U.S. Government’s development finance institution, and developed by Reno, Nevada-based Ormat Technologies, Inc. It is the first utility-scale geothermal project in Honduras. The investment of this project exceeds 3,094 million lempiras, the plant will work to the maximum capacity and will generate 35 megawatts, which will serve to meet the energy demand of the entire western region of the country. The April issue of the European Geothermal Energy Council (EGEC) Newsletter is now available. Reducing emission of hydrogen sulphide from geothermal operations through bacteria? Midnight Heat, by Hreinn Hjartarson, Husavik, Iceland. Honorable Mention, 2017 Photo Contest. Exergy talked about the latest trends in Organic Rankine Cycle (ORC) research with emeritus professor Ennio Macchi from Politecnico di Milano, taking the cue from a recent study that examines the global trend of ORC research from 2000 to 2016. Aquatherm of West Sussex, England, has completed the supply of 2,500 meters of polypropylene (PPR) pipe work for the UK's deepest geothermal well that has been drilled in Cornwall. The 2.5km-deep shaft was constructed by Geothermal Engineering Ltd. at Rosemanowes Quarry near Penryn. The system is not designed to deliver power but will deliver around 0.5 MW of heat, enough for 400 apartments or equivalent. Kapasitas terpasang pembangkit listrik panas bumi (PLTP) hingga triwulan I tahun 2018 ini mencapai 1,924.5 MW dari target hingga akhir tahun sebesar 2,058.5 MW. Dengan capaian sebesar 1,924.5 MW tersebut menempatkan Indonesia pada posisi kedua di dunia setelah Amerika Serikat dalam memanfaatkan panas bumi sebagai tenaga listrik, menggeser posisi kedua yang sebelumnya ditempati Filipina. Direktur Jenderal Energi Baru Terbarukan dan Konservasi Energi (EBTKE), Rida Mulyana menyampaikan penambahan kapasitas terpasang PLTP tahun 2018 berasal dari beroperasinya PLTP Karaha Unit 1 (30 MW) dan PLTP Sarulla Unit 3 (110 MW, COD 2 April 2018: 86 MW). Sementara itu, akan menyusul pada pada semester kedua di tahun ini PLTP Sorik Marapi Modullar Unit 1 (20 MW) (Agustus 2018), PLTP Sorik Marapi Marapi Modullar Unit 2 (30 MW) (Desember 2018), PLTP Lumut Balai Unit 1 (55 MW) (Desember 2018) dan PLTP Sokoria Unit 1 (5 MW) (Desember 2018). (From Google Translate) The installed capacity of geothermal power plants (PLTP) at the end of the first quarter of 2018 reached 1,924.5 MW with a target of 2,058.5 MW by the end of the year. With an achievement of 1,924.5 MW Indonesia is now in second place in the world after the United States in utilizing geothermal power, taking the second place previously occupied by the Philippines. Director General of Renewable Energy and Energy Conservation (EBTKE), Rida Mulyana said the additional installed capacity of PLTP in 2018 comes from the operation of Plarah Karaha Unit 1 (30 MW) and PLTP Sarulla Unit 3 (110 MW, COD 2 April 2018: 86 MW). Further additions in the second semester of this year will include PLTP Sorik Marapi Modullar Unit 1 (20 MW) (August 2018), PLTP Sorik Marapi Marapi Modullar Unit 2 (30 MW) (December 2018), PLTP Lumut Balai Unit 1 (55 MW) (December 2018) and PLTP Sokoria Unit 1 (5 MW) (December 2018). 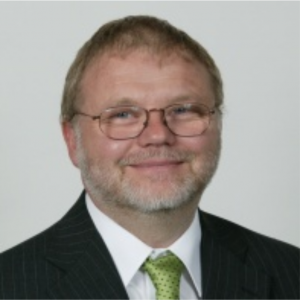 Erwin Knapek, President of the German Geothermal Association: I would like to cordially invite you to enrich the German Geothermal Congress (DGK) 2018 actively with your own contributions. Together, we can further enhance the use of geothermal energy and thus make our contribution to a clean energy supply. supply, we need a committed exchange of experiences between science and industry, practice and research. 2018 we offer you a platform for all of that. In particular I would like to encourage you if you have never been to the German Geothermal Congress. You can expect an exciting exchange with German and international experts as well as nice social programme Especially, we welcome contributions from this years DGK partner country, Denmark. KenGen managing director and CEO Rebecca Miano. KenGen said on Monday the World Bank’s approval will also enable it raise up to Sh30 billion ($300 million) in long term commercial financing to be used to refinance its existing commercial loans. “Our focus is on renewable energy especially wind and geothermal sources and the World Bank Guarantee Project will enable us scale up our investment in energy development and help Kenya achieve middle-income economy status by 2030,” said KenGen managing director Rebecca Miano in a statement. KenGen plans to add 1,745 MW of electricity from geothermal sources by 2025, part of a government push to end power generation from fossil fuels. The focus of the research at the Glasgow Geothermal Energy Research Field Site would be geothermal energy. 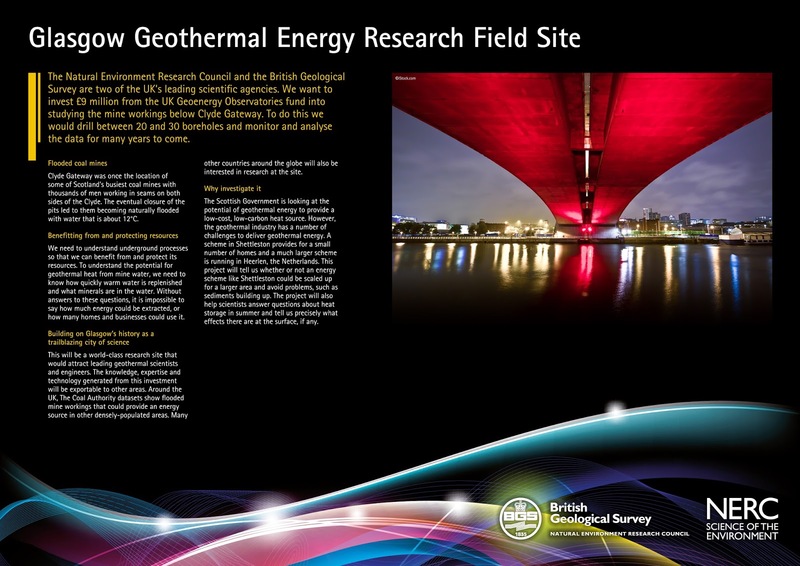 It is one of two sites proposed in the £31 million UK Geoenergy Observatories Project led by The Natural Environment Research Council (NERC), the UK’s main agency for funding environmental sciences, and the British Geological Survey (BGS), the UK’s principal provider of impartial geological evidence since 1835. This major project will provide infrastructure for future research opportunities. and store waste heat for future use. Croll-Reynolds & Tsurumi Pump Ormat Technologies, Inc. Supervise the activities of the operator technicians at the Geothermal Facilities, overseeing both operating functions and, when necessary, maintenance functions. Comply with Agency policies, procedures and practices and the requirements of the Facility Manager. Coordinate the activities of the Operating department with the Maintenance and Steam Production Departments. Develop the proficiency of Geothermal Facility Operator Technicians and continue to improve the Geothermal facility business prospective and competitiveness. Arctic Green Energy, a renewable energy company based in Reykjavík, focusing on creating zero-emission cities, has completed a new funding deal from CITIC Capital, China Everbright Ltd. and Asian Development Bank. CITIC Capital, an early investor in Arctic Green Energy since 2015, has exercised its conversion rights to acquire equity of US$30 million in Arctic Green Energy. China Everbright Ltd. has purchased shares and an exchangeable bond issued by Arctic Green Energy for a total of US$70 million. Asia Development Bank announced on March 22 it would provide a $250 million loan to Sinopec Green Energy Geothermal Co (SGE) and Arctic Green Energy Corp (AGE) to develop clean geothermal heat in smog-prone northern China. SGE is a joint venture set up by China’s state-owned oil giant Sinopec and AGE. 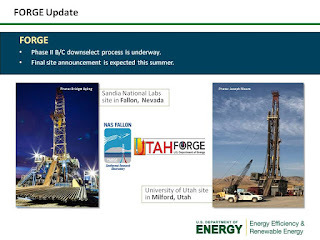 Geothermal Technologies Office (GTO) Director Dr. Susan Hamm hosted the second installment of quarterly updates on April 23, 2018. The full, WebEx recording is available online on the GTO website. Be sure to check it out and/or share with those who might have missed it. Feel free to email us topics for discussion for the next Quarterly Update or any questions at any time via the GTO mailbox: DOE.Geothermal@ee.doe.gov. managing or supporting geology/geochemistry related projects within the Geothermal business unit. Pipeline in Las Pailas I. by Paul Moya. Two phase pipeline coming to the separation station at Las Pailas I, Costa Rica. Photo was taken in July 2011. 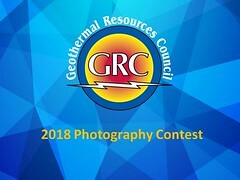 GRC Photo Contest 2016. El Proyecto Geotérmico Las Pailas II, ubicado en Curubandé de Liberia, provincia de Guanacaste, alcanza 80% de avance constructivo. El montaje de la turbina –una de las piezas más importantes de la casa de máquinas– marcha a ritmo acelerado y ya supera la mitad del cronograma establecido. De acuerdo con el avance a la fecha, se estima iniciar con las pruebas preliminares en octubre. La entrada en operación comercial se mantiene para el primer trimestre de 2019. (From Google Translation) The Las Pailas II Geothermal Project, located in Curubandé de Liberia, province of Guanacaste, has reached 80% of the target towards construction. The assembly of the turbine - one of the most important parts of the machine house - is moving at an accelerated pace and is already beyond half-way complete. According to the progress to date, preliminary tests are estimated to start in October. The entry into commercial operation is on course for the first quarter of 2019. Indonesian state-owned utility PT PLN (Persero) has issued a request for proposals (RFP) for up to 1 GW of geothermal projects. Interested parties are invited to submit bids to develop both geothermal steam fields and power plants with at least 5 MW capacity. managing a geothermal reservoir with a minimum capacity of 10 MW. From 20 to 23 of April, 2018, IRENA and partners from the IGA and World Bank shared with Indonesian government officials and geothermal project investors how the UNFC system can help classify Flores’s numerous geothermal fields — acknowledging the difference between technical feasibility and economic viability. Kenya: Join Your Local Geothermal Energy Association! The Geothermal Association of Kenya (GAK) is a professional scientific, educational and cultural organization. It was registered in Kenya by the Registrar of Societies in 2010 to encourage, facilitate and promote coordination of activities related to local and worldwide research, development and application of geothermal resources. It is a non-political, non-governmental, non-profit organization and is an affiliate member of the International Geothermal Association (IGA). Vallourec is delivering oil country tubular goods (OCTG) solutions for the Geothermal Energy project in Djibouti. Lake Assal is a saline lake, 155 meters below sea level, situated in central-western Djibouti at the top of the Great Rift Valley. 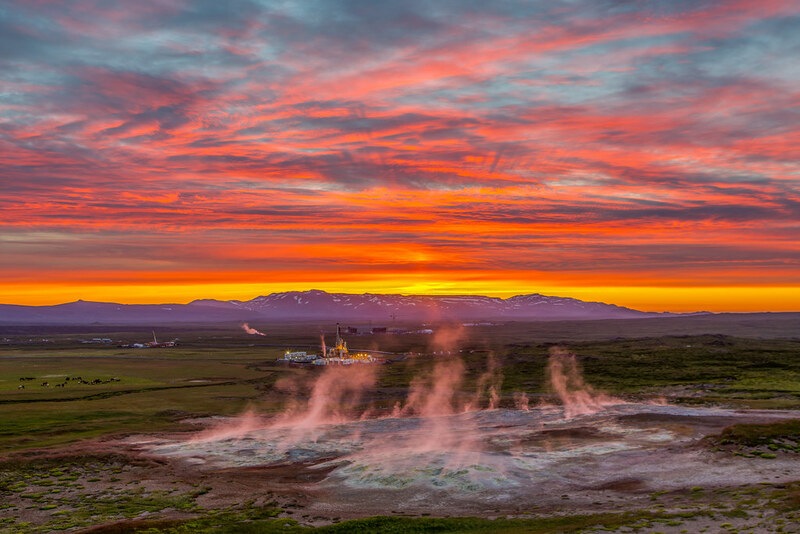 The geothermal potential of the area, known for its seismic and volcanic activity, has been studied for many years and now the drilling campaign to capture this energy is under way! The project in the Fiale Caldera area of Lake Assal consists of drilling 4 exploration wells for a new geothermal power plant, set to come on-line in 2021. The power plant will have a total capacity of 50 MW. Vallourec is supplying OCTG and VAM® Field Service to the project. 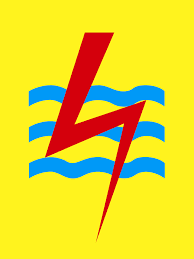 The Fiale project is managed by the Project Management Unit under the authority of Electricity of Djibouti, EDD. It is financed by the World Bank, the African Bank for Development, OPIC, French Agency for Development, GEF and ESMAP. Ethiopian Energy Authority said that it has been tirelessly working to utilize country's energy potentials whilst maximizing the involvement of potential local and foreign investors in the sector. 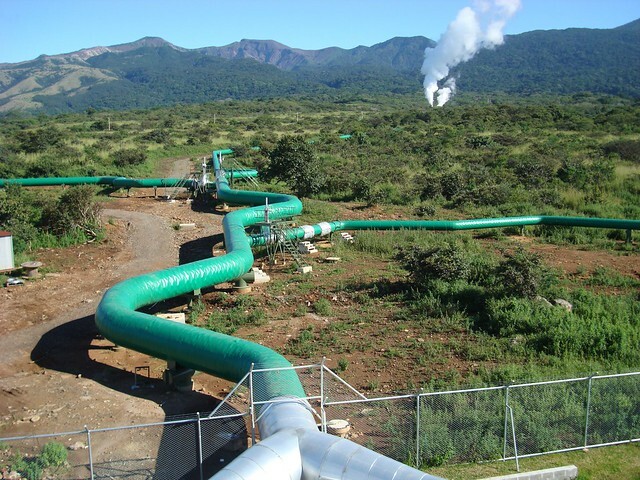 Geothermal Resource Development Director with the Authority Tesfaye Kassa told The Ethiopian Herald that consolidated efforts are underway to lure investors with the desirable capital, technology and expertise in the geothermal development. Investors could maximize their profitability in furthering their engagement in geothermal sector that enable them to produce electricity without interruptions and harm in the environment, the Director recommended. 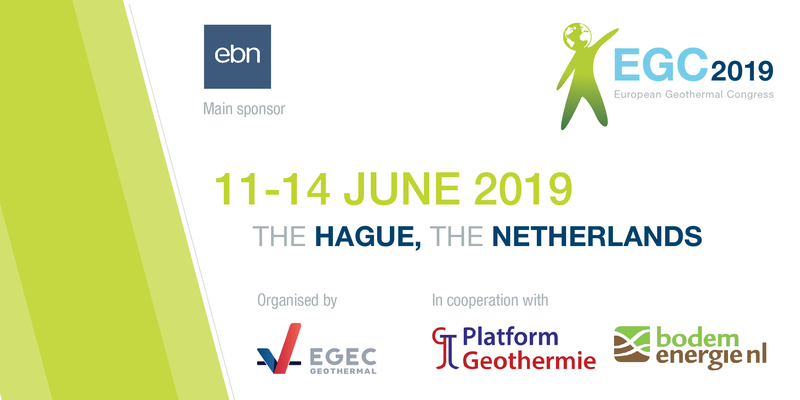 The European Geothermal Energy Council (EGEC), in cooperation with Stichting Platform Geothermie, BodemenergieNL, and the main event sponsor Energie Beheer Nederland B.V. (EBN) are pleased to announce the 2019 edition of the European Geothermal Congress (EGC). Geothermal Development Company (GDC) will utilize geothermal energy to boost food security in Kenya, the Managing Director & CEO Eng. Johnson P. Ole Nchoe has reaffirmed. The CEO has noted that GDC will strongly support the use of geothermal energy in food production and processing. He said this in Iceland at the ongoing 4th Icelandic Geothermal Conference. In his presentation, Direct Use of geothermal energy for food security, the CEO pointed out the Loita Plains, Nakuru and the Baringo-Silali Geothermal Block as having great potential food production using geothermal technologies. “Geothermal will be a key enabler for the BIG4 Pillars. Direct use of geothermal will support the pillar on food security,” the CEO explained. KS Orka is commencing with commissioning of the first phase in Sorik Marapi Indonesia only 18 months after Spud-In. The first phase is 15 MW but further phases will follow shortly. From pad C the project team aims for producing close to 55 MW. KS Orka is developing three geothermal projects in Indonesia. Ormat Technologies, Inc. has announced that it has closed the previously announced acquisition of U.S. Geothermal, Inc. for a total consideration of approximately $110 million, comprising approximately $106 million funded in cash by the company to acquire the outstanding shares of common stock of U.S. Geothermal, Inc., and approximately $4 million, funded from available cash of U.S. Geothermal, Inc., to cash-settle outstanding in the money options to acquire outstanding shares of U.S. Geothermal, Inc.
As a result of the acquisition, Ormat now owns and operates U.S. Geothermal's three power plants at Neal Hot Springs, Oregon, San Emidio, Nevada and Raft River, Idaho with a total net generating capacity of approximately 38 MW. In addition, Ormat now owns development assets held by U.S. Geothermal, which include a project at the Geysers, California; a second phase project at San Emidio, Nevada; a greenfield project in Crescent Valley, Nevada; and the El Ceibillo project located near Guatemala City, Guatemala. The operating assets sell power under existing power purchase agreements at favorable price terms for the electricity, with an aggregated contract capacity of 55 MW. Ormat plans to improve the acquired operating assets and implement synergies and cost reductions which are expected to improve profitability of the operating projects by approximately 50% during 2019. Ormat has put in place a comprehensive integration plan to assure continuous operation of U.S. Geothermal's assets. The company is pleased to retain a number of U.S. Geothermal employees and welcome them to Ormat. A patent-pending technology developed at ETH Zurich could make for more efficient fracture networks in deep gas, oil and geothermal wells. Thermal borehole enlargement through thermal spallation can be used to bore deep wells for gas, oil or geothermal exploitation in hard rock. It could also boost the efficiency of new wells and recovery of abandoned wells. The shape of the borehole can be optimised in order to enhance the subsequent stimulation process. The creation of deep reservoirs for gas, oil and geothermal energy extraction is impeded by insufficient stimulation. Direction and extension of the created fractures are complex to control and, therefore, large stimulated and interconnected fracture networks are difficult to create. In order to reduce the project failure risks and increase the reservoir productivity, we developed a technology to control the creation of engineered reservoirs in hard deep rocks. Geothermal steam provides 3,830 MW and will add another 1,130 MW by 2021. U.S. Federal Energy Regulatory Commission (FERC)’s latest Energy Infrastructure Update (with summary statistics for January and February 2018) also reveals that the total installed capacity of renewable energy sources now provides over one-fifth (20.39%) of total available U.S. generating capacity. Combined, wind and solar alone exceed one-tenth (10.18%) of installed capacity–a share greater than either nuclear power (9.11%), hydropower (8.49%) or oil (3.64%). Geothermal steam provides 0.32% of total generating capacity with 3.83 GW. The report also estimates proposed Generation Additions and Retirements by March 2021. Geothermal Steam is proposed to add 24 units for an additional 1,130 MW of capacity. gigawatts (GW), there is a vast source of untapped energy just waiting to be realized: an estimated 30 GW of hydrothermal plus more than 100 GW of geothermal energy through EGS. The geothermal industry operates in a harsh subsurface environment in which unique technical and operational challenges must be overcome to realize this potential. resources more effectively, develop improved methods to stimulate new EGS resources, and characterize and model subsurface stress and other reservoir properties. 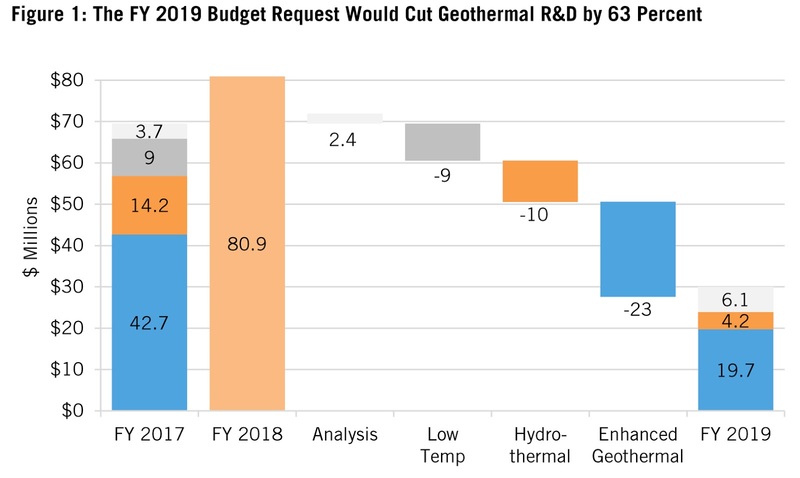 Reductions in R&D funding threaten to delay or even derail the progress DOE has already made toward these targets. 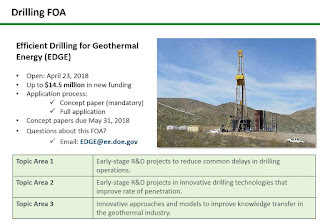 Today, the U.S. Department of Energy (DOE) announced up to $14.5 million in new funding to advance geothermal energy development. 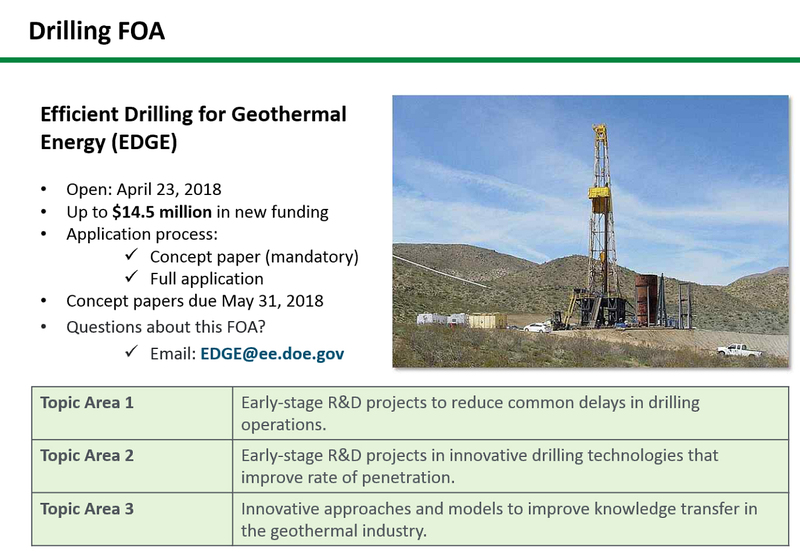 The Efficient Drilling for Geothermal Energy (EDGE) funding opportunity announcement (FOA) will focus on geothermal drilling in support of accelerating the research and development of innovative geothermal energy technologies in America. 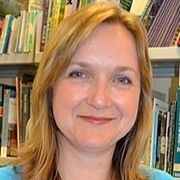 More information on the EDGE FOA can be found on the EERE Funding Opportunity Exchange. For more information on the Geothermal Technologies Office, visit their website HERE. ElectraTherm of Reno, Nevada, USA, has commissioned a Power+ Generator® at a geothermal site in the northern part of Japan. The geothermal heat forms an onsen (hot spring) where the local community has enjoyed bathing at this natural resource for centuries. The Power+ installation offers another resource to the community. ElectraTherm utilizes the Organic Rankine Cycle (ORC) and proprietary technologies to generate up to 65 kWe of electricity at the site. The Power+ Generator captures low temperature heat ranging from 77°C to 116˚C and flow rates up to 45.4 m3/hr. Unlike other renewable sources, geothermal heat is baseload, providing a continuous flow of hot water and therefore power generation capabilities 24/7. The geothermal resource captures hot water — the fuel used by the Power+ to drive the ORC cycle and turning ElectraTherm’s twin screw power block, driving an electric generator to make clean electricity. The first well in the Otaniemi project has now been drilled to the final depth of 6.4 km on Saturday evening and we have shown the world that deep wells can be drilled into Scandinavian granite in cooperation with St1 and partners. Our goal is to build industrial scale heat plant running on geothermal energy. To date, three deeper wells have been drilled for research use; in Russia 12.3 km, in Germany 9.1 km and in Sweden 6.96 km. Our well is the deepest well ever drilled for energy production, a world record in its kind. Production manager Tero Saarno's German influence from a drilling contractor took a supremacy at the emotional a world record moment, but in close crew this is how it goes. Congratulations to the whole drilling team! "Investing in geothermal energy production in Imperial County can help reinvigorate the local economy and contribute to the state's renewable energy portfolio." Prior to Thursday's State Lands Commission meeting in Palm Springs, Lt. Governor Newsom visited Imperial County to observe the environmental, ecological, and public health challenges that have resulted from the shrinking of the Salton Sea, California's largest lake. Lt. Governor Newsom also visited a local geothermal plant to learn about geothermal power and how renewable energy development on state lands contributes to California's renewable energy goals, while also stimulating Imperial County's economy. Adjacent to the Salton Sea are geothermal plants that hold leases with the State Lands Commission, on which the Lt. Governor is a voting member. Imperial County has some of the highest-producing geothermal wells in the world, reflecting the region's great potential for renewable energy development. In 2016, geothermal energy accounted for about 4% of California's electricity, and about 20% of in-state renewable generation. Investing in geothermal energy production in Imperial County can help reinvigorate the local economy and contribute to the state's renewable energy portfolio. Jon Gluyas and Charlotte Adams discuss recent National Centre for Energy Systems Integration (CESI) research which looks at how the UK’s heat supply can be decarbonized and national energy security improved. Two recent papers to emerge from CESI examine the potential to decarbonize the UK’s heat supply and simultaneously improve national energy security. The article by Gluyas et al on ‘Keeping warm: a review of deep geothermal potential of the UK’ examines how much heat could be extracted from sedimentary basins and granite bodies while Adams and Gluyas article on ‘We could use old coal mines to decarbonize heat – here’s how’ looked at the resource potential of ultra-low enthalpy heat in abandoned flooded coal mines. A very conservative estimation indicates that at current levels of heat use there is an absolute minimum of 100 years heat supply from these sources. Moreover, such heat sources have a near zero carbon footprint. This effort proposes a high-temperature electromagnetic tool to provide wireless, near-real-time access to geothermal well downhole data in reservoirs up to 300°C. The proposed effort will leverage existing electromagnetic data transmission technology used for oil and gas exploration to provide a cost-effective means to characterize underground environmental variables such as bit vibration, downhole temperature, and pressure conditions. This capability will minimize risks associated with developing geothermal energy as a viable power source. Advanced geothermal energy production is challenged by the harsh thermal and chemical environments posed by fluids produced in geothermal wells. This technology introduces a novel method of forming high performance ceramic components in place to extend the operating life of the well components. The reason was the one given each dry season for the last four years – too long without rain had left too little water in reservoirs to turn the turbines and generate power. Kenya Power, the national electricity utility, has so far always managed to avoid a full shutdown, instead turning off just a few turbines at a time. But to make up the gap it has turned to more expensive – and polluting – diesel generators to keep the country plugged in. The United Downs Deep Geothermal Power project is seeking to appoint a Community Relations Manager who will be responsible for implementing policies with respect to community liaison and public relations. ​The role will include developing and maintaining relationships with the public, community leaders and media representatives and ensuring that the project’s engagement with the local community is managed effectively and transparently. The initial contract will be for a period of 12 months, commencing as soon as possible. A possible extension to the contract will be discussed during the last 3 months, depending on progress of the project. Salary will be in the range £22 to £25k, depending on experience. For further information please download this PDF. When constructing geothermal systems for the extraction of heat from underground hot water reservoirs, optimal positioning of the boreholes can considerably reduce seismicity. This is the result of induced seismicity studies by scientists of Karlsruhe Institute of Technology (KIT). Induced seismicity means shocks caused by human activities. Based on the change of water pressure in the rock (pore pressure) and the mechanical stresses in the rock, the researchers modeled changes of the stress field as a result of the injection and extraction of fluids, e.g. gases or liquids.